As chief executive officer, Andy ensures the overall success of Flood Communication’s talented team of professionals and extensive network of Television, Radio, Hispanic, and Digital products. Andy manages operational, financial, marketing, cultural and legal strategies for the company. He is proven in building media brands, engaging teams, and creating ideas. With 20 years of communications and media experience, Andy is positioning Flood Communications at the forefront of the industry evolution and creating new models for user and advertiser success. Andy began his career at Triathalon Broadcasting/Clear Channel Radio-Omaha in 1999. He quickly became a top sales performer and was promoted to national sales manager and then to general sales manager. In 2004, Andy started his own entertainment newspaper, City Weekly Newspaper, and ran it for three years. In 2008, after successfully selling his start-up, Andy became the general manager of the NRG Media-Lincoln, NE, radio stations. In this role, Andy successfully managed the five NRG Media-Lincoln stations including Froggy 98 (KFGE-FM),) and News/Talk 1400 (KLIN-AM) and grew the listenership exponentially, exceeding goals each year. In 2012, Andy assumed control of the seven NRG Media-Omaha, NE, stations including Sweet 98 (KQKQ-FM) and 1620 the Zone (KOZN-AM) and hit the ground running. He quickly gained recognition for successfully diversifying growth through digital initiatives, local sports affiliations, and live concert events. Throughout his career, Andy earned accolades for his hard work and success. Radio Ink Magazine featured Andy as one of the “Best Managers” in the nation for the small market heroes issue. He also received the legendary “Radio Wayne” award nomination for outstanding management and leadership. Over the years Andy has generously given his time and resources to many organizations. 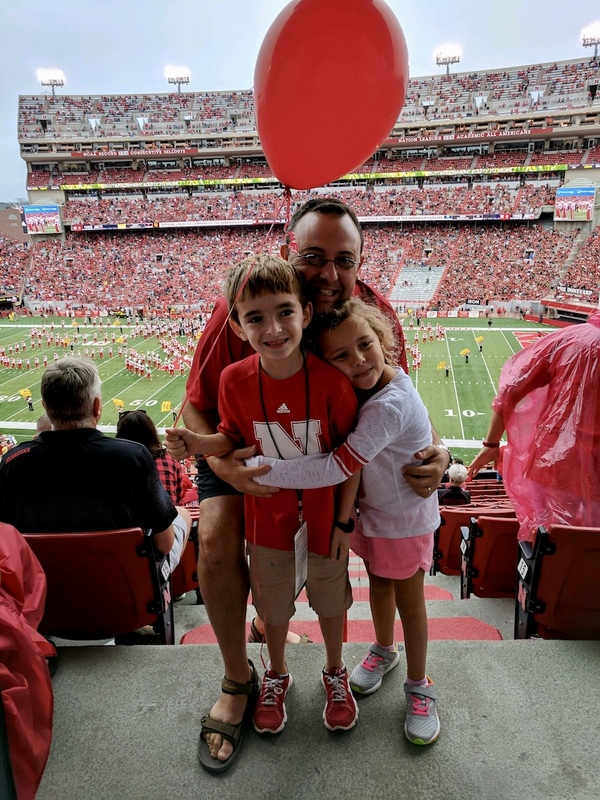 Most recently he’s been involved with the Cub Scouts (Mid-America Council), Omaha’s Henry Doorly Zoo, Northstar Foundation, and Business Ethics Alliance. Andy is married to the talented Teresa Ruback, a chef, culinary consultant and community volunteer. Together, they have two adorable children, Max and Chloe, and a mischievous dog named Mitchell. When Andy isn’t working all hours of the day, he enjoys fly-fishing, tennis, sipping bourbon and playing drums.